I have to be honest, I'm just not a very big fan of Winter. The cold, dark and rainy days are not for me haha. I do love the period around Christmas with all the pretty lights and decorations, getting you really into that festive mood. Maybe you are just like me and are more a Spring and Summer kind of person and want to escape from the cold for a few days. I've been thinking about a few perfect summer proof destinations. Curacao, Miami, Brisbane, Cape Verde and many more. With planning a trip also comes the packing part, my favorite one!! Like every woman, I always bring too many things and only end up wearing half of it. 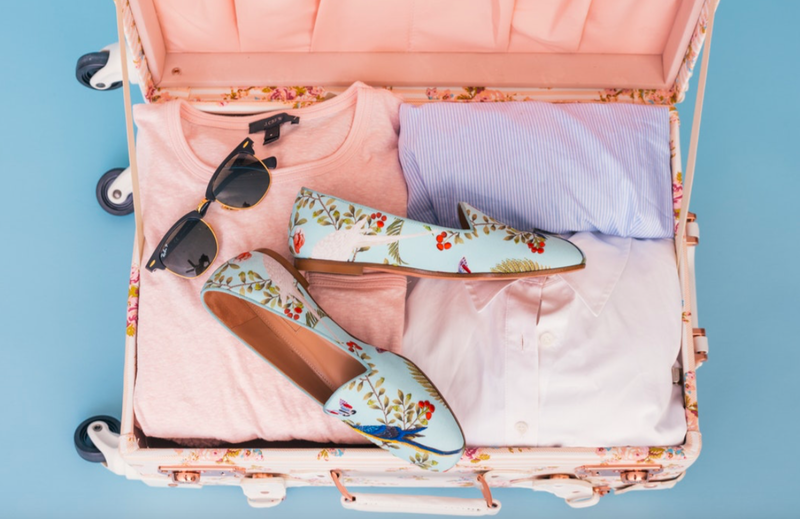 Then returning with two suitcases because I bought new clothes there.. Read further now for some cute summer fashion essentials you can't forget to bring on your next trip! Zaful is an online fashion site with all kinds of clothes, from cute accesories, to swimwear, to activewear and many more. It's a great webshop if you're looking for both affordable and quality clothes. As a student, that's a number one priority. 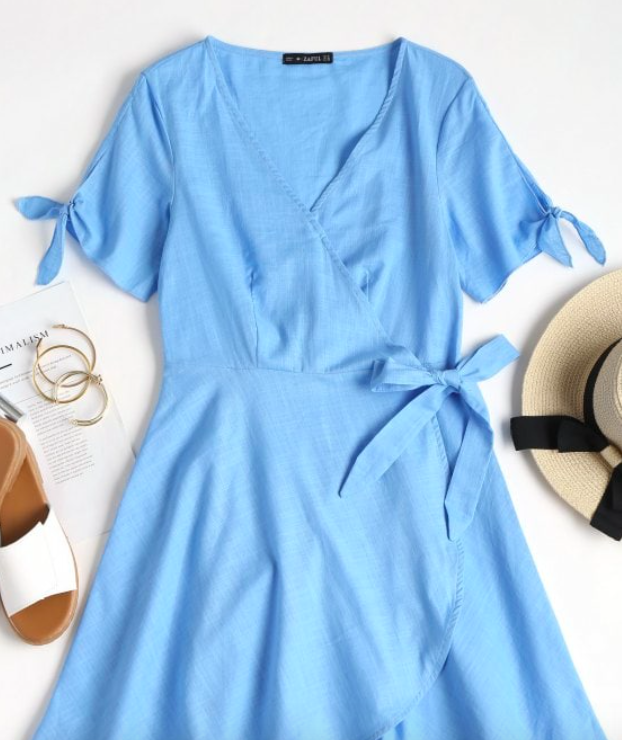 Isn't light blue such a cute color?! It's a great shade for both summer and winter and adds a pop of color to your outfit. As you're planning on going to a tropical destination, dresses are must bring. They come in all kinds of patterns and there will be one you like for sure. I came across this dress and think it's super cute. You can never go wrong with wrap dresses. The bows on the dress add that extra sparkle to it. With a big sunhat, a pair of white slipper and maybe a bracelet or a pair of earrings and you're ready to head of to your tropical island. You can even wear a bikini under it, as the material is quite light, great for the beach too. For more blue dress, you can always visit the webshop. Just in case the weather changes it's always a good idea to bring clothes for the rain. In tropical places, the rain usually comes out of nowhere and a lot at once. Rain coats are your best friend at this time haha. 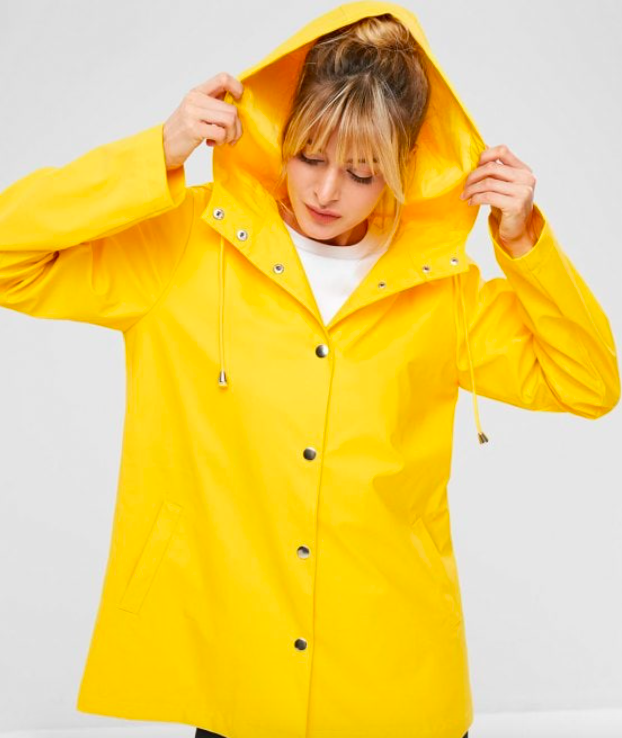 This yellow windbreaker jacket is great, it's light and it's still a bight and happy color. It has two front pockets and is, of course waterproof. With the loose fit you can easily wear a sweater or hoodie under it. Quesiton time - What is your must bring fashion item for your next trip?